How can I demonstrate value ? Success is synonymous with demonstrating value. Market access and customer preference is a critical issue for you. How firms demonstrate value is an important part of my research into how the life science industry is evolving. My work reveals the detail of these capabilities, how they are acquired how they are implemented across functional boundaries. I complement my research by working with senior executives, marketers and market access teams, using workshops or coaching to help them understand and develop their value-demonstration capability. If you would like to better demonstrate the value you create, please contact me. What are my strategic options ? Leadership is about decisions. Identifying, evaluating and choosing alternatives is your job. My research examines the strategic alternatives facing pharma, medtech and other life science companies. I combine my industry experience and academic research to explore what opportunities exist and which make commercial sense. I also use this research to constructively challenge industry leaders on their ideas for the future, either through commissioned research projects or in one-to-one coaching meetings. If you would like to explore and test your strategic options, please contact me. How can I strengthen my team ? Nothing happens without an effective team. Assessing and building the capabilities of your team is one of your essential tasks as a leader. What makes teams effective is a fundamental strand of my work into how pharma and medtech companies compete in our evolving market. My work focuses on how management processes either hinder or help cross-functional working. I complement my research by counselling senior executives in the design, development and management cross-functional teams. If you would like to strengthen your team, please contact me. How are pharma & medtech markets evolving ? Our market is transforming. How to adapt to that change is the biggest question you face. I spend my life answering this question, gathering data about the evolution of our market and creating actionable insight. I research how social and technological change is driving the emergence of new business models in pharma and medtech. I complement my academic research with leadership seminars, conference addresses and focussed “deep dives” that address specific questions about where this market is headed. If you would like to better understand where your market is headed and what that means to you, please contact me. How can I implement better ? Without implementation, strategy is just a fantasy. Ensuring that strategic decisions are enacted is what leaders are paid to do. How pharma and medtech firms implement is a pivotal part of my research into our industry’s evolution. My interest is in how leadership and process design can reduce internal politics and self-interest and refocus the organisation onto single-minded execution. I complement my research by working with business leaders, either one-to-one or with their teams, to help them tighten and focus their implementation process. If you would like to implement more effectively, please contact me. Pragmedic is my company; I will design and execute all of the work we do together. For projects that require specialised knowledge, I may call on other exceptionally qualified academics. But I’ll always be the one who makes sure that you get a good outcome. The following short bio will help you see how I’m qualified to help you but, if you’re impatient, skip down to How I can help you. I’ve spent my entire working life in our industry. I began in 1978 as a fresh-faced research chemist for Sterling Winthrop (now part of Sanofi). For 20 years, I worked in R&D and Marketing for several global pharma and medtech companies. By 1998, I was a Head of Marketing for Boehringer Mannheim and, when Roche acquired the company, I decided to scratch an itch I’d had since my days at the bench. My insatiable, scientific curiosity is what led me into R&D and, as I climbed the management ladder, I became interested in the science of how firms compete. Voraciously reading strategic management research, I found that it wasn’t always relevant to pharma and medtech companies. So I decided to make that my life’s work. I did a PhD on strategy effectiveness in the life science industry and, since then, I’ve researched various aspects of how those companies create competitive advantage. I’ve become especially interested in how our industry is evolving the competitive capabilities needed when technology is racing ahead and value is defined as much by payers as by physicians. 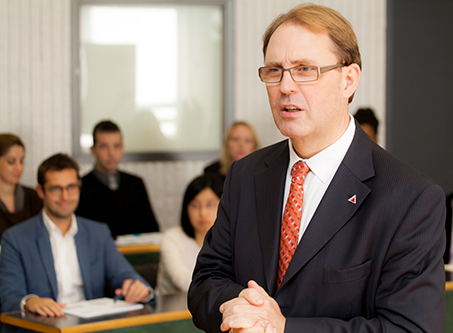 I do this research at two great universities – SDA Bocconi in Milan, Italy and the University of Hertfordshire in the UK. I also supervise a group of PhD candidates, whose research similarly looks at aspects of our industry’s evolution. Those who know me best call me a complete geek about the subject. My research has real-world goals: to help the world’s most important industry adapt to the future, so that more people live longer, healthier lives. That means disseminating my research in peer-reviewed journals and industry publications, in books and at industry conferences. A significant part of my time is spent working directly with life science companies as an advisor and counsellor. Over the years, I’ve helped most of the big and many of the smaller companies in our industry. Scientific: I immerse myself in the research literature and collect evidence about how life science companies are evolving. So my advice is always based on rigorous, relevant research. Pragmatic: I’m fanatical about the application of management science to real-world practice. So my work with you will always be directed towards a specific, actionable and profitable outcome. Individual: I’ve learnt that every case is different and needs its own solution. So I personally manage every project to understand your situation and to achieve your particular goals. If you would like to have a conversation with me about how you can compete more strongly in our evolving market, contact me. I’ll be delighted to listen to you. I’ve written several books, with more on the way. They’re all available via your local Amazon or, if you prefer, you can browse and request shorter PDFs from my free library. 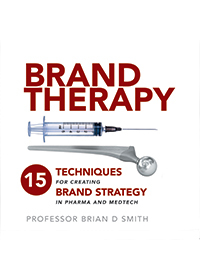 This book is a practical, “How To” manual for brand teams in pharma, medtech and other life science industries. It describes an end-to-end process of 15 techniques for understanding your market, creating strong strategies and translating them in effective action plans. You can see its excellent reviews and order a copy from Amazon. 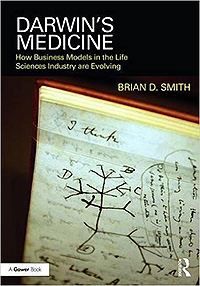 The sequel to The Future of Pharma, this book goes deeper into the drivers of industry change and how leading pharmaceutical and medical technology companies are adapting. Essential reading for anyone who wants to understand the industry's complex, changing landscape, this is an invaluable guide to firms seeking to survive and thrive in this dynamic market. Based on years of research and interviews with industry leaders, The Future of Pharma is written for industry executives who need to understand where the industry is headed and how they can adapt to that future. 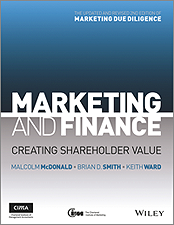 Written with two of the world’s leading authorities on marketing strategy and finance, Marketing and Finance explains the process of Marketing Due Diligence. It is written for those who need to assess the strength of marketing strategies. Based on a three-year study into how firms translate data and information into knowledge, insight and competitive advantage, Creating Market Insight is written for those who gather, analyse and use business intelligence. 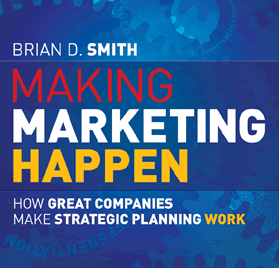 The result of an extensive research programme into why some firms make strong marketing strategies and others don’t, Making Marketing Happen is written for those who want to be best-in-class at strategic marketing planning. I’ve published over 300 articles and papers that summarise my research for executives in the pharma, medtech and other life science industries. They are all listed here and you are welcome to browse and to request a free PDF. Or, if you have an interest in a particular topic and don’t have time to browse, just contact me and I’ll select the most relevant papers for you. This is the first in a trilogy of papers reporting a five-year research project into marketing strategy making in medical markets. This paper reports an empirical assessment of marketing strategy quality in eighteen companies in the pharmaceutical, medical device, diagnostic and equipment sectors. It concludes that the marketing strategy of many medical companies is weak and that their survival is therefore dependent upon their competitors having even weaker strategies. New research that shows how relationship marketing has taken a central place in marketers' thoughts. Dr Brian Smith and Professor Malcolm McDonald reveal how to use Strategy Diagnostics to test the strength of your marketing strategy before it is implemented. Research into modern marketing concepts that would have been alien to earlier generations. This paper contributes to the literature concerning the marketing strategy process. It reviews the extant literature in this field, drawing out areas of consensus and gaps in that literature. The principal gaps identified concern non-rational strategy making processes and the combined implications of internal and external contingencies. Using well-established theories from the sociological perspective of the organisational behaviour literature, this work proposes relevant questions for future research in this field. In seeking effectiveness, there is no single answer. Effectiveness lies in co ordinating sources of competitive advantage around the customer. This is a report of the Cranfield CRM Research Forum's work in 2001/2, the first year of its operation. The work of the Forum is based upon a research programme that includes both primary and secondary research. The secondary research was used to synthesise a generic model of CRM which broadly but accurately describes the management process better than previous models. This model allows practitioners to understand and create the necessary preconditions for successful CRM in any organisation. It also makes explicit the inputs, outputs and connectivity of the four sub-processes of CRM. The primary research revealed that effective CRM operates within a CRM eco-system defined by both market and organisationally based factors. Awareness of this eco-system allows organisations to avoid wasteful investment in CRM when it is not appropriate to their business situation. The primary research further revealed the evolution of the basic CRM process into five sub-species, each of which was optimally adapted to its particular place in the CRM eco-system. Understanding of this differentiation allows practitioners to define the optimal CRM process for their own situation. This report is in two parts: Firstly, a management report summarising the results of the research; secondly a manual based upon the work. The manual, including software tools, facilitates the development of a CRM process optimised for the particular market and organisational conditions of the reader. Whatever the marketing niche, understanding and meeting customer needs remains the key issue. Corporate culture is the biggest barrier to effective marketing and attempts to manage it often fail. Dr Brian Smith reveals how 'going with the grain' is often the better way. Dr Brian Smith and Dr Moira Clark outline the critical factors for successful customer relationship management. The trick, as ever, is to deduce the sense from the hype which, through a rigorous research programme, is what Cranfield University’s CRM Research Forum aims to achieve. This Clinica Report aids medical device and diagnostic industry managers by gathering, analysing and adding expert opinion to the lessons that have been learned from industry consolidation. The report is structured around the three principal parts of the merger and acquisition process: consideration of merger or acquisition, selection of partners or targets and implementation of the integration process. Each chapter compares the practice of leading players with that of less effective companies and concludes with the lessons practising managers may draw from this comparison. This work reports an examination of industry consolidation in the medical device and diagnostic market. It shows that excellent companies are clearly differentiated from their less effective rivals by the care and rigour with which they approach the task. In exemplar companies, mergers and acquisitions arise from profound strategic thinking. Partner or target selection is based on the strategic aims of the deal and integration is based on the synergy realisation objectives inherent in those aims. 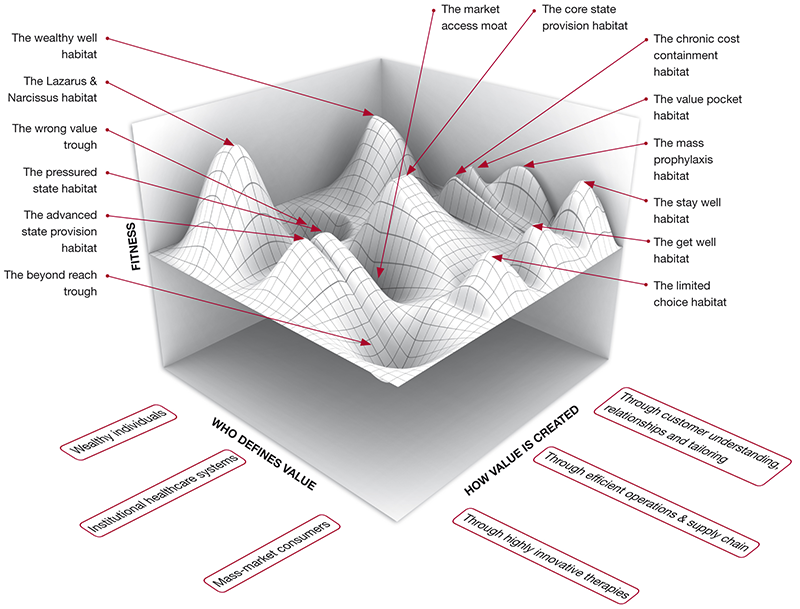 This paper describes a challenge common to many medical device companies, that of developing a market-led corporate culture in order to create sustainable competitive advantage. It describes the constraints encountered, the methods employed and the results and lessons that were the outcomes of the process. Its principal lesson is that organisational culture change is possible and rewarding, but slow and difficult. Without a deep knowledge of both culture and marketing, cultural change should not be attempted. Copyright for the paper(s) / article(s) is owned by the named author(s). The article may not be reproduced or circulated without the permission of the copyright owner(s). If the article is quoted or cited, copyright must be acknowledged. PragMedic will use your email address to notify you when new articles are published or the website is updated. Your details will not be passed to third parties or used for any other purpose without prior agreement.